We left Bromley South and were soon shedding layers as we made our way up to Hayes. From here we ventured out into the Kent countryside and before long were heading up to Downe. Quite a few hills today, so we were soon burning those calories. Then round the back of Biggin Hill and on to The Spinning Wheel at Westerham. 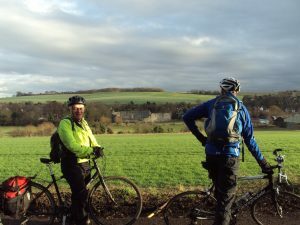 The weather was fairly mild and we didn’t see any of the lunchtime rain that was forecast; we did however see literally hundreds of other cyclists out today. 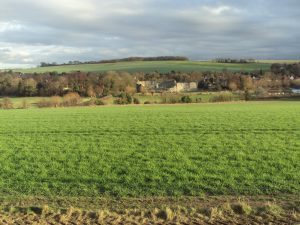 Now it was on to Knockholt and Halstead, before dropping down to cross the A21 before cycling through some beautiful wooded lanes and out to the other side of Shoreham. Here we decided to visit the Farm Shop which had some fabulous cakes, but as Andrew had told us there was a quite shocking hill up to our lunch stop, we were quite reluctant to take on any extra weight. So I think that cake might just have to wait until another day. 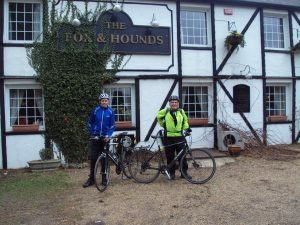 Into Eynsford now and then turning right we cycled just over three miles up hill to the Fox and Hounds at Romney Street for a well deserved drink and lunch. 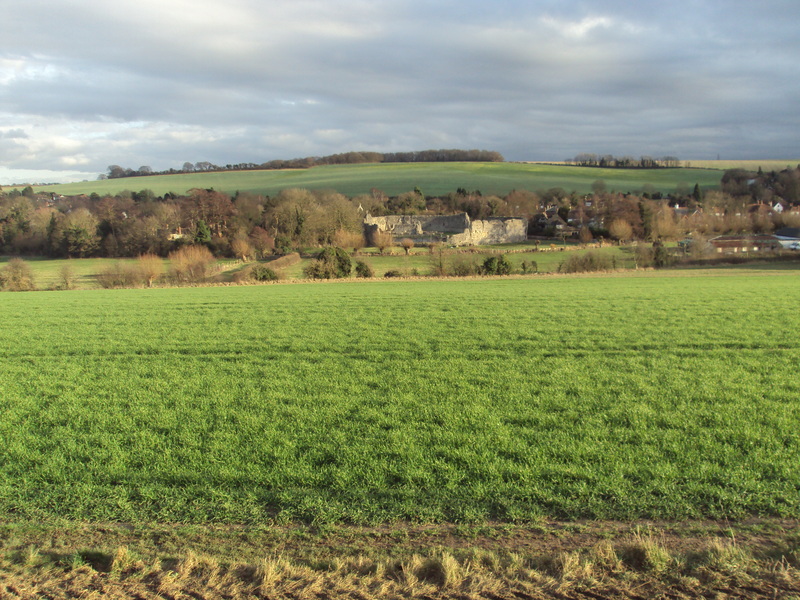 The advantage of cycling so far uphill was that after lunch it was downhill all the way to Farningham, before cycling through the Knatts Valley, albeit into a strong headwind. The scenery was truly fantastic. 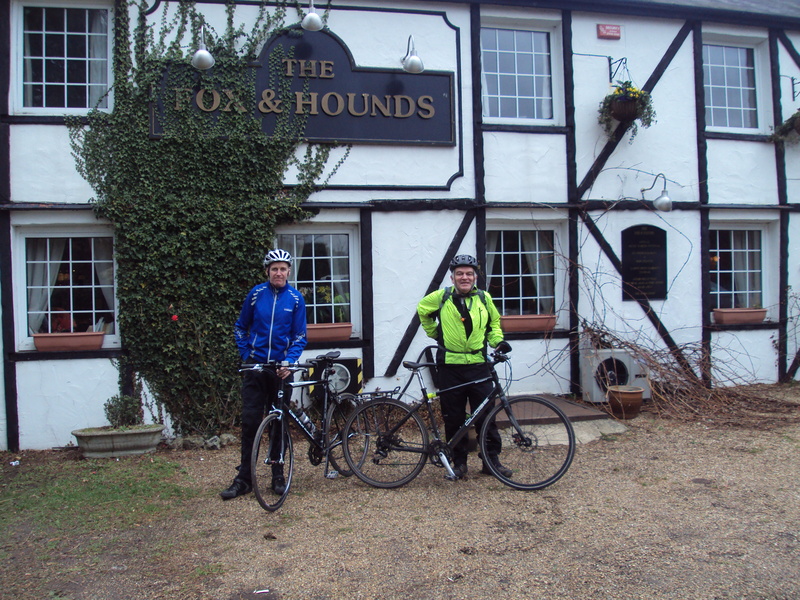 Dropping back now into Eynsford where some took the train back to Bromley, while others rode home. A fantastic day, thank you to Andrew and Trevor for leading today’s ride – looking forward to the next one.